Commissioned by Jesus, for a church to be the church it must be in the business of “making disciples.” The church goes about making disciples by “baptizing” and “teaching all that I commanded,” says Jesus (Matthew 28). In other words, preaching the whole counsel of God and administering the two sacraments of baptism and the Lord’s Supper are central to what the church should be doing. Each local church should also be gathering together publicly to worship and pray together too (Acts 2:42). The theological tradition that my church belongs to would frame it like this: the local church is called to preach the gospel, administer the sacraments, and exercise church discipline (See the Belgic Confession, Article 29 and Westminster Confession of Faith, 25.3). As a bare minimum, for the local church to be the church it must have these things happening regularly. The proclamation of the gospel itself creates the community of the church, so we can say, for example, wherever the gospel is preached and the sacraments are administered—there is the church. The thing is though, in order for us to be doing this faithfully in a local community, there has to be actual participation in the local community by the local church beyond the Sunday gathering. Otherwise, there’s no way of bringing other people into the social environment by which people can actually be made into disciples of Jesus. So discipleship itself has to go outside of the walls of the local church in order for disciples to be invited, gathered and made into disciples inside of the church. The reality is, no church just preaches the gospel. Every local church does a whole host of things that go beyond, but still support, the preaching of the gospel from Sunday to Sunday. Let me give a few examples from the officers in a local church. Pastors (called “teaching elders” in my denomination) feed the people of God through preaching, teaching, administering the sacraments (or ordinances), prepare sermons, commune with God as a disciple to lead other disciples, faithfully pray for people by name, make time for visiting both the well and the sick, new visitors and the oldest of members, attend, lead, or moderate various meetings meetings, and manages emails, phone calls, event planning, writing projects, committee meetings and reports (according to his various calling and ability), in addition to everything that an elder and a Christian and a husband and father (if he is married and/or has children) is responsible for. All of this is to aid and carry out the official function of preaching the gospel every week, but much of what a pastor does is not just preaching the gospel. Elders (called “ruling elders” in my denomination) meet regularly to shepherd the whole flock of God, oversee the spiritual and general activities and interests of the church, visit families and individuals in hospitals and homes, pray for people, teach people, protect and catechize the children of a church, and if necessary, go after stray sheep and maintain the peace and purity of the church. All of this is in support of gospel preaching, but it’s not just preaching the gospel. Deacons likewise pray for others and visit the sick, the hurting, the downcast and broken, those struggling financially, and find ways to support those in the church community first, while still providing mercy ministry and care to those in need outside of the church. We call this “mercy-in” and “mercy-out” at our church. All of this supports the message of the gospel, but itself is not the gospel. All church members are called to gather regularly for the public worship of God, everyone is called to serve to edify the whole body according to particular gifting, need, and desire, and support the work of the church through prayer and cheerful financial giving. The life that each Christian has exists all because of the preaching of the gospel, but much of the life of every member exists outside of the Sunday hour (or two). In the average week of any given local church, a lot of activity is going on from week to week that supports the preaching of the gospel, but is not part of the mission of the church. People meet together, pray together, study God’s Word together, share life together, help, serve, volunteer, joke, play, etc. all together. 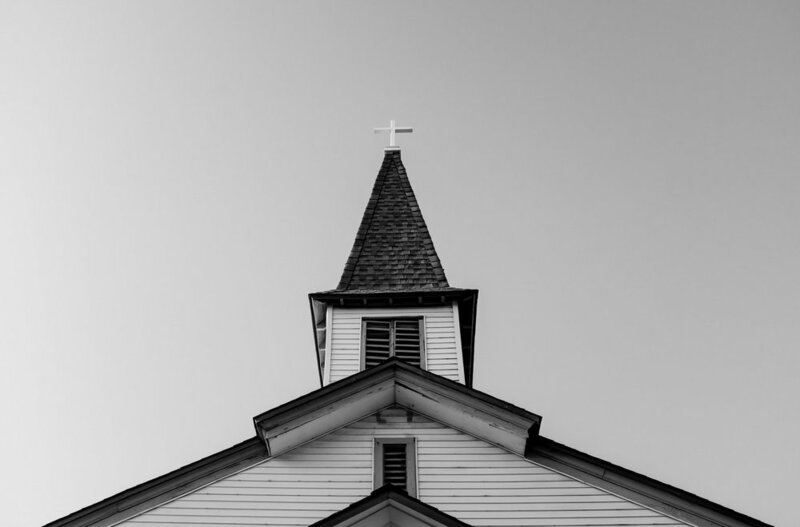 The majority of any new members a church gains from week to week happens because of conversations and invitations and calls given out—not by the pastor from the pulpit on Sunday morning—but from individual members and families doing this necessary work. On the ground, no true church can “just preach the gospel.” That must be happening—every week, from every Bible passage—but a whole lot more has to go on to support the ordinary means of grace in a church. So each local church has to make wise decisions about how its leaders are going to spend their time (and where), and how we want to encourage and shepherd our people to be spending time. Do we want people to only be surrounded by church people in their free time? Or do we want to be reaching out to our communities and neighborhoods so that others can be called and gathered into the embassy of grace that we all need each Sunday? In order for the mission of the church to be carried out faithfully, each local church needs it’s own people to live as embodied creatures in our local areas. That means spending time with others inside and outside of the local church, always bringing more people into the missionary activity of God in Christ that happens every Sunday morning. But we spend a lot of time bickering over the mission of the church, and we assume that it has to look the same everywhere, when in reality, in addition to preaching, sacramenting, and disciplining, each local church has to make specific, unique decisions that affect the people immediately around them. For example, a friend of mine pastors a local church in the downtown area and one of the ways a lot of people in his church spend their free time serving others is through the soup kitchen. Is this “social justice”? Is this displacing the mission of the church and are these people no longer faithfully making disciples? Of course not! They're simply loving their neighbors. The church that I pastor though doesn’t have a visible need for soup kitchens because we gather each week in the San Diego suburbs, so our people don’t really spend much of their time serving in soup kitchens. (Though some do, for holidays or on a monthly basis by driving to inner city and downtown neighborhoods.). Since we live in a more affluent area, the needs of our local community look a little different and one of the ways we get involved in our community is by volunteering time, money, and people to help improve the conditions of a nearby elementary school that has a very high percentage of not only low-income families, but homeless families sending their kids to school. Spend more time thinking, planning, and praying about ways your church can get people outside of your church into the primary place where disciples of Jesus are made, and less time wondering if an activity is part of the official duties of the church. If Sunday morning is the missionary event of the week, how are we facilitating and inviting more people outside of our members into this event? Thinking and talking more about this, and acting on some of the best and most appropriate ideas in our local context would do all of us a lot of good. God calls each pastor to shepherd the flock of God that is entrusted to us specifically. As far as I can tell, he has only given me one flock, not two or hundreds or thousands. I am not a universal bishop but am an ordinary, local church pastor. So I can share what we’re doing, and work toward encouraging others and can talk and listen and learn from others who share the same Gospel Commission that every other local church is participating in and have been given the same Great Commandment that every Christian on the planet has been given. Aside from that though, it’s better that I don’t meddle with stuff that’s not my business. We can get so caught up in theological debates but we need to do the work of the mission of the church that God has given, with the means God has given, and with the offices and people God has given to us wherever we are at. I wish more leaders and pastors would do the same. We’ve got work to do. The harvest is plentiful and the laborers are distracted, and few.